Almost as soon as Friends first aired in 1994 it because a favourite around the world and it remains so until this day. Therefore, it is hardly surprising that Bally Technologies have secured the licensing rights and are developing it into a slot machine. The slot will be housed in Bally’s Alpha Pro 2 Cabinet which features a 55” screen that will play video clips in 1080p resolution. It is a 5 reel slot that features multiple paylines, wilds, free spins and a number of bonus games such as the wedding bonus, a birthday bonus, a thanksgiving bonus and a Halloween bonus. The slot will also be linked to a progressive jackpot that is expected to payout six figure sums. 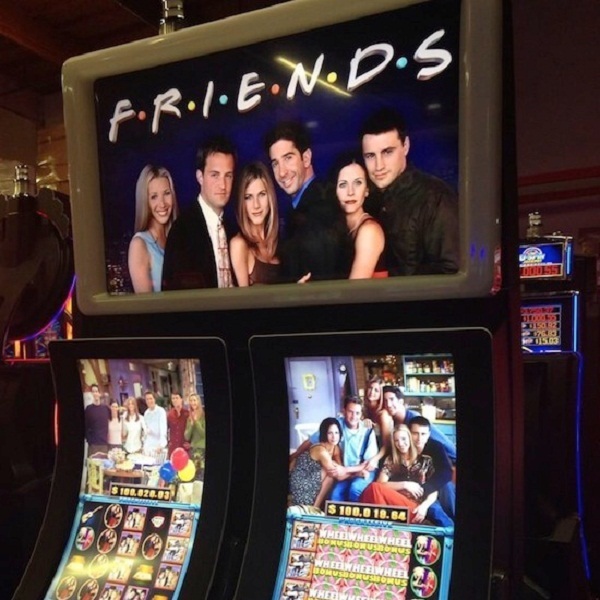 The symbols on the reels are set to include the characters Rachel, Joey, Chandler, Phoebe and Ross as well as the couch from their coffee shop, guitars and more.